I personally believe that the Syrian Civil War is one of this generation’s greatest tragedies. With the way it is proceeding, it’ll be remembered by future generations in the same manner that we remember the Rwandan genocide and the Bosnian War of the 1990s. The motivation for writing The Heart of Aleppo was simple: I wished to bring more global attention to this crisis. 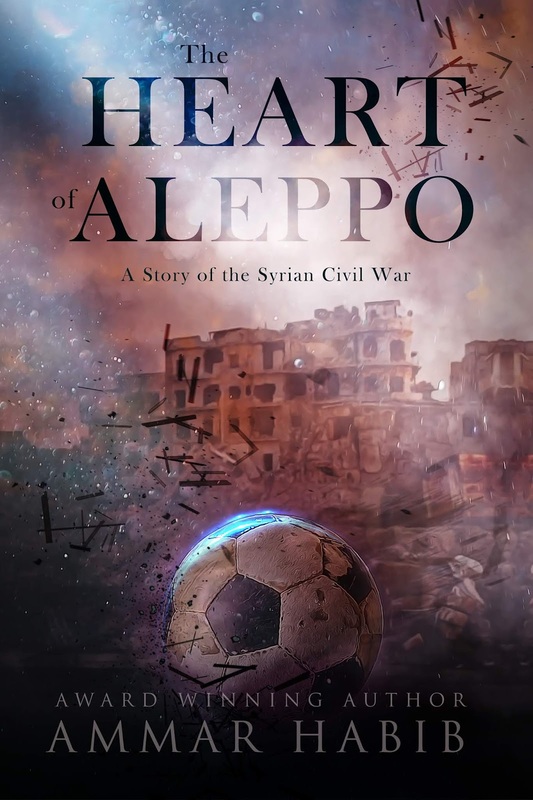 Although the characters are fictitious, this novel accurately depicts the events that transpired in Aleppo during the summer of 2012. I hope that reading this will lead readers to have a greater understanding of the plight those in Syria face, as well as those in other war-torn regions. If this work helps garner more attention for those in Syria, then I will have considered this project a success. In an over-politicized world, my wish is for this work to humanize those we call “refugees”. The Heart of Aleppo is not about the politics of the Syrian Civil War or any other conflict. Its aim is not to convince readers to support any faction or political party. Instead, this story is about the unbreakable spirit of humanity. It is about how humanity often shows its true strength during the darkest times. 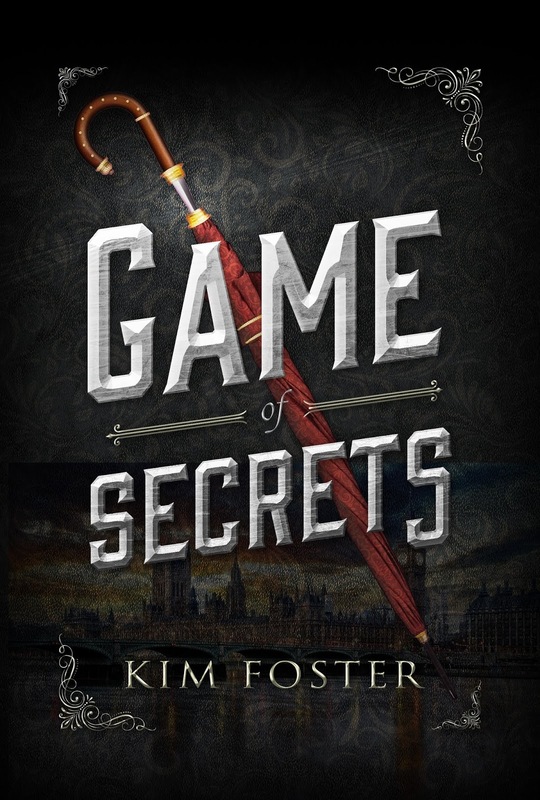 I truly hope that these themes of hope and strength will resonate with readers. 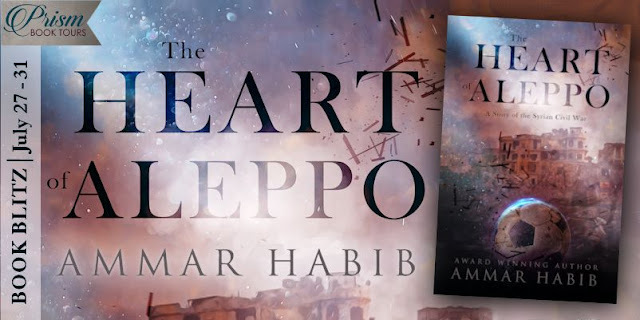 I know that simply writing this The Heart of Aleppo changed me as a person, and it made me more aware of everything that transpires in the world around me. Although the world will never be perfect, I believe that if we keep our faith in the human spirit and keep striving to always better ourselves and those around us, then we can create a little piece of heaven on earth. After standing for over 7,000 years, Aleppo's ruin came overnight. Separated from his family during the night the rebels attacked the city, thirteen-year-old Zaid Kadir is lost in the middle of a war zone. Alongside his friends, he is forced to survive the dangers of a civil war he does not even fully understand. Zaid witnesses the destruction of the brutal Syrian Civil War as it grows more deadly by the day and rips his city apart. However, as he braves this destruction, as he desperately tries to survive this catastrophe, he discovers something. Zaid realizes that it is in the darkest hours when humanity's spirit of hope burns brightest. Two days before Nabeel leaves for the last time, I find him standing at the kitchen counter with his friend, Zakariah. I don’t know his rank, but Zakariah serves directly under Nabeel in the army and only lives two miles down the road. The two of them always seem to be on leave at the same time. Their voices are low, almost secretive, but I catch the look in Nabeel’s eye. Except back then, I didn’t recognize it. Seeing me enter and hearing my voice, they both look my way before exchanging glances. That gleam in Nabeel’s eyes disappears. I see a concerned expression momentarily wash over Nabeel’s face. Nabeel is slightly smiling now. Did he really just call me that? How did he know? Hearing Zakariah’s footsteps grow faint, I turn back to Nabeel. He opens the fridge door and rummages through it. “You told him?” I ask. I watch him pull out a pound of chicken meat rolled up in brown paper as he turns back to me. He looks back at me with a smile, but it fades when he sees my expression. He takes a few steps towards me before crouching down to come to my eye level, urging me to continue. A silence ensues as he searches for the word. For a moment, his eyes again display that same gleam, but it disappears as quickly as it came. I hang on his words, unable to say anything. 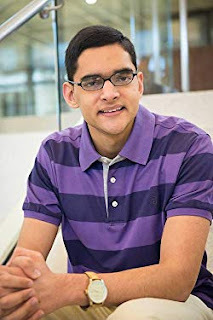 Ammar Habib is a bestselling and award-winning author who was born in Lake Jackson, Texas in 1993. Ammar enjoys crafting stories that are not only entertaining but will also stay with the reader for a long time. Ammar presently resides in his hometown with his family, all of whom are his biggest fans. He draws his inspiration from his family, imagination, and the world around him. 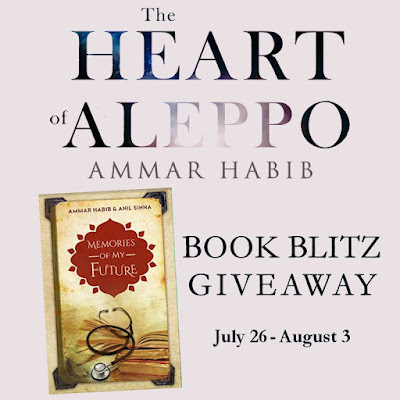 In conjunction with the release of The Heart of Aleppo, the author is running a giveaway from July 26th to August 3rd. The prize is a signed copy of his national award-winning novel, Memories of My Future. Memories of My Future is an historical/inspirational novel that was published in 2016. It received several accolades after its release, including the Independent Press Award in May 2017.